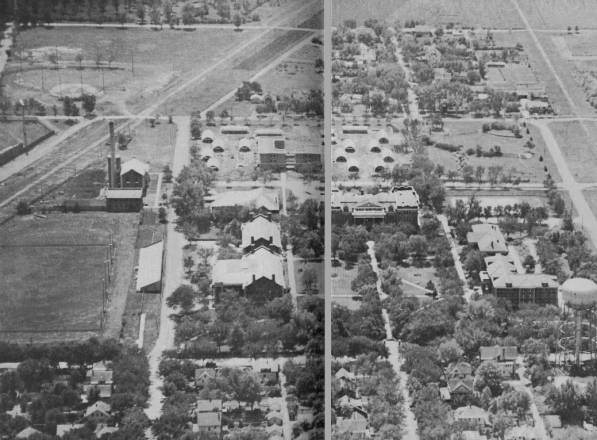 This is a picture of Northern Campus where the ballpark may be seen in the top left hand corner. Aberdeen is a community with a long history of baseball, and this can be seen in these photos of the Aberdeen Municipal Ballpark. Located where the Barnett Center now resides, it was built in 1936 as a WPA (Works Project Administration) project and was home to the Pheasants from 1947 to 1971. The Pheasants were a minor league team that became affiliated with the Saint Louis Browns, and their relationship with the Browns was so strong that, even though the ballpark burned down in 1951 and the Browns had moved by the time Pheasant Park was built, they took the affiliation with them when they became the Baltimore Orioles. This relationship would go on to produce many great baseball players, such as Lou Piniella and the Hall of Fame pitcher, Jim Palmer. 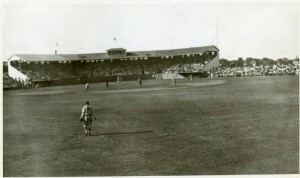 Picture taken from the outfield of a baseball game at Pheasant Park. Unfortunately all good things come to an end, and in 1971 the Northern League that the Pheasants were a part of could no longer stay afloat. Because of this, the Pheasants were disbanded, and in 1975 the ballpark was demolished to make room for the Barnett Center that is still located on the Northern State University campus. 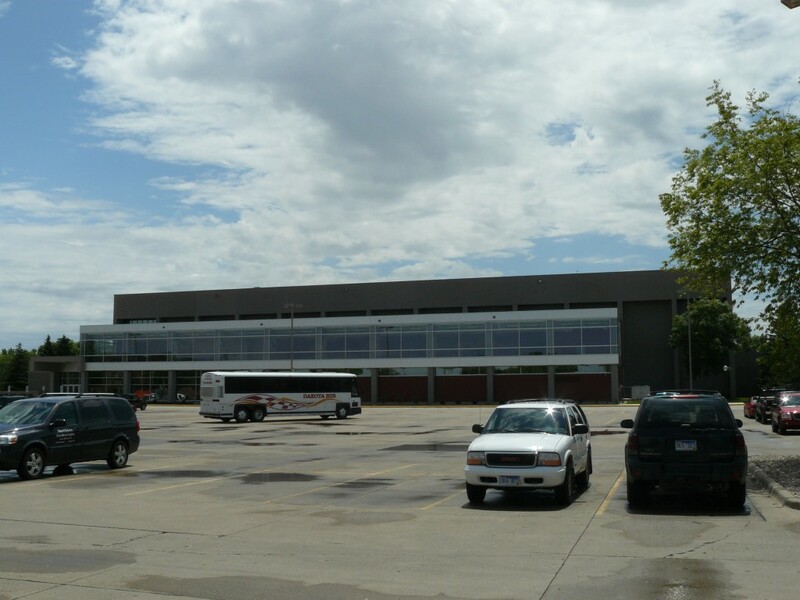 Current view of the location of the Aberdeen Municipal Ballpark, now the Northern State University Barnett Center which is currently in the process of remodeling.